Good morning! 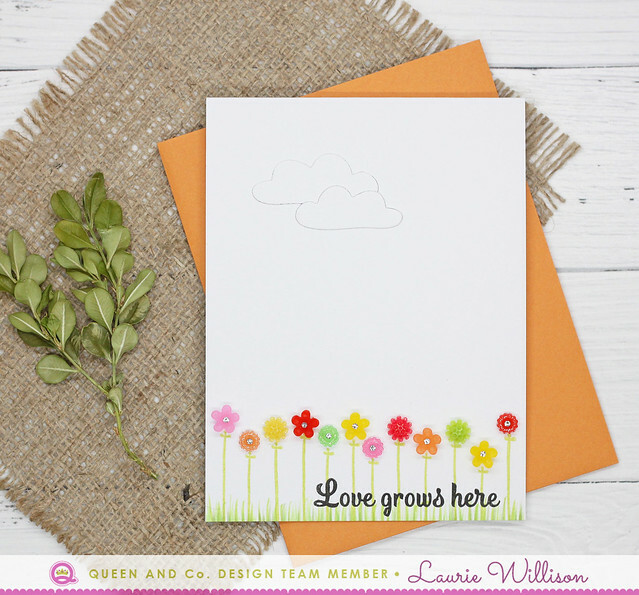 I am stopping in right quick with a couple of CAS cards using some adorable flowers from Queen and Company. The flowers, called Sparklers, are so adorable! There is several different types of flowers in each pack, all with the same color. 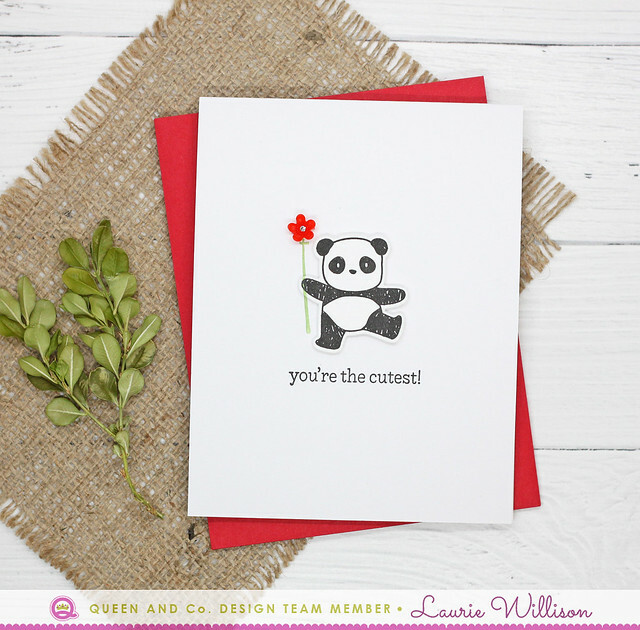 I stamped the panda and sentiment and then added in the green stem. The Sparklers have adhesive the back so it was really easy to just add it to the quick and simple card. This next card was super easy to make. I used that same stem from the first card, added in some Copic grass and a sentiment and then mixed up the flowers for a colorful garden. To finish it off, I added some clouds for a white on white look. That is it for today. So glad you stopped in! First, I die cut and colored these 2 giraffes. I added them to cloud stenciled and copic grass colored card base. 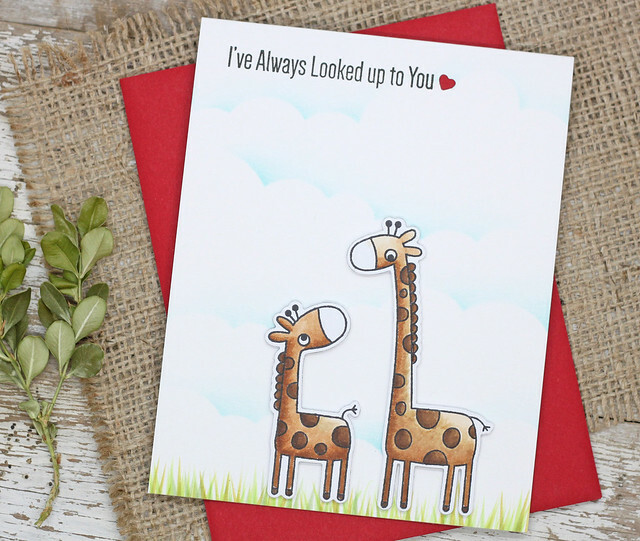 Last, I stamped the perfect sentiment for these cute little friends and then added in a heart. So fun and easy! Head on over to the MFT shop to see all thats new for May. The June release countdown will start soon. 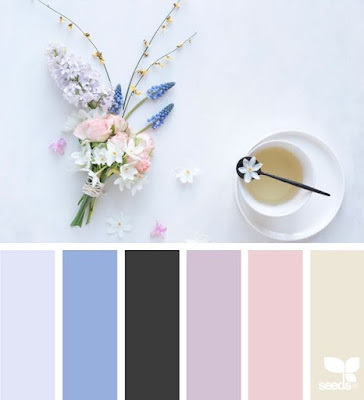 Flowers and leaves always add elegance and an inviting organic feel to your projects. Whether you build a bouquet of beautiful blooms or feature a single standout blossom, your recipient will be touched by your effort. Many of our Blueprints Die-namics feature floral accents and this month, our team has crafted a bevy of looks to inspire your next project. I used only one extra thing to create this card and that is the Hello die. Every other element came form the Blueprints 14. I did use a pice of the paper from the On-Point paper pack for the back layer. I kept it simple by layering up white card stock, and then backed the "hello" with vellum to make it pop. Last, I added in the flower and leaves to finish off. The girls have lots more to share with us over on the MFT blog. Head on over there for lots more inspiration. Thanks so much for stopping in! Hey crafty friends! 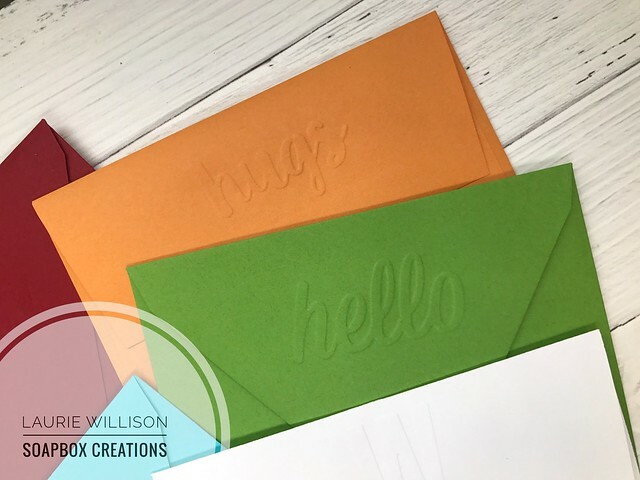 I am stopping in today with a little envelope embossing. Today I saw this little machine that would emboss your address into the flap of the enveloped. It was expensive! I knew with the tools we have, we can do this ourself and customize it! 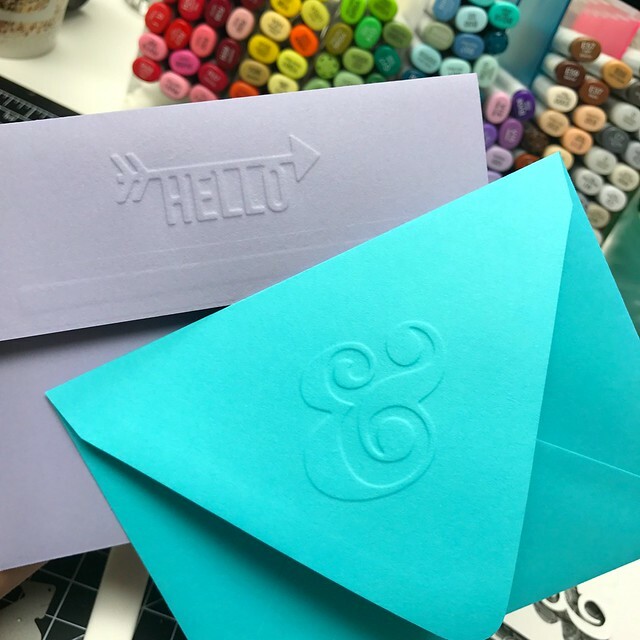 So here are some pictures, which I know are kinda hard to see, but I also have a video to share how I made these fun embossed envelopes. These top 2 say "hugs" and "hello". Such a fun little touch to our happy mail, right? And another "hugs" and a "smile". 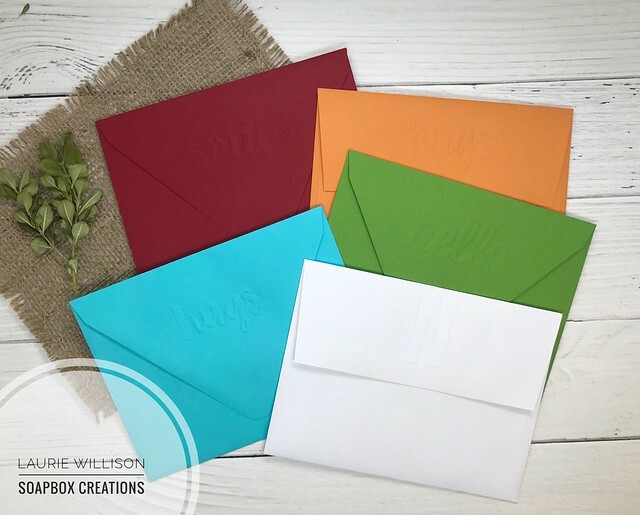 In this last picture, the white envelope shows a simple monogrammed W. They were hard to photograph but you can see a little more in the video. Hope you enjoyed my video. Thanks so much for stopping in! Hope you have a great day! Today I am joining in over at Ellen Hutson's May Pin-Sights Challenge. The challenge in inspiration photo is gorgeous. I mean, look at these colors! I used Bohemian Garden from Ellen Hutson to create this floral card. I stamped a card front sized cardstock panel with a floral design. I love how the colors look together. Next, I cut the panel into 1" strips. I popped 3 of them up on foam tape for some dimension off the card base. 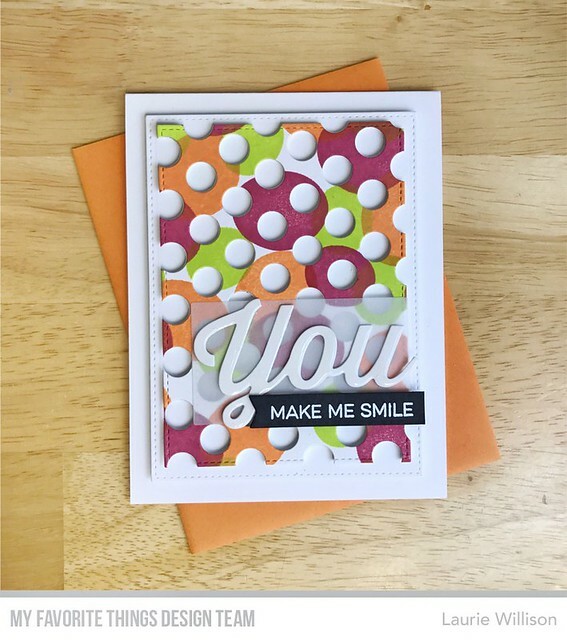 I grabbed the Zipper Panel dies and used the "enjoy" die to diecut gold cardstock for the simple sentiment. And thats it! 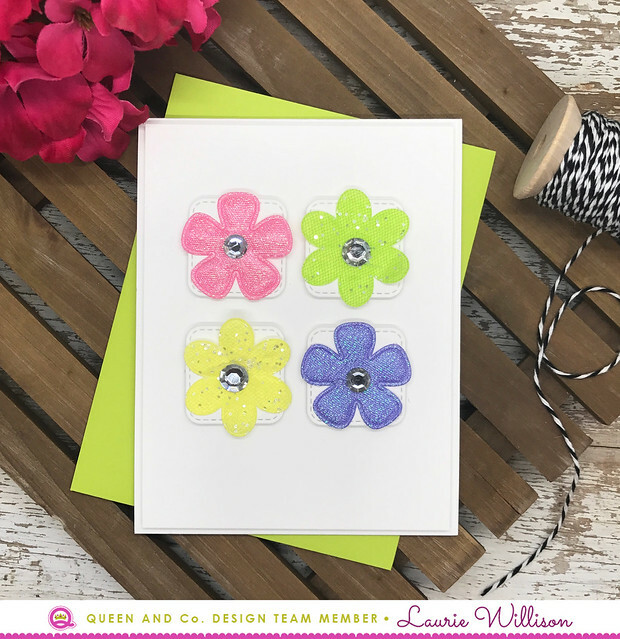 If you would like to play along with the May Pin-sights Challenge, head on over to the CLASSroom blog. Every month, there is a challenge over there, based on a Pinterest Inspired photo. A random challenge participant will receive a $50 gift certificate to the Ellen Hutson store. To be eligible, you must use Essentials by Ellen products and the photo badge as inspiration. There will be an inlinkz on the challenge post where you can submit your project. I can't wait to see what you create! Thanks so much for joining me today! Head on over to the CLASSroom blog to play along! 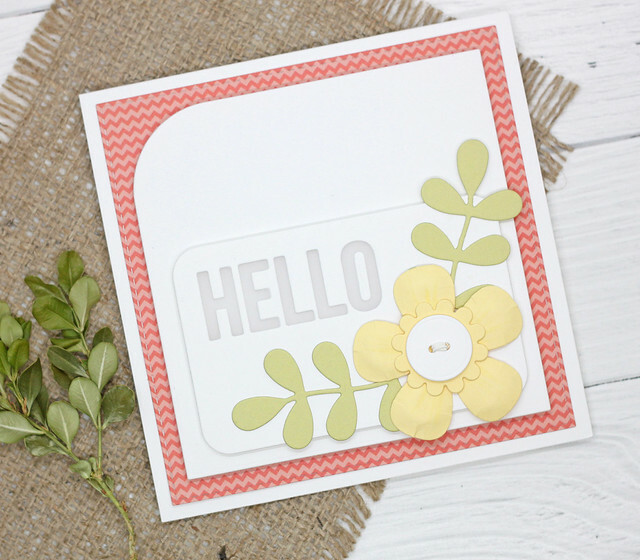 Tonight is the release of the May MFT Card Kit called Sketchy Flowers. 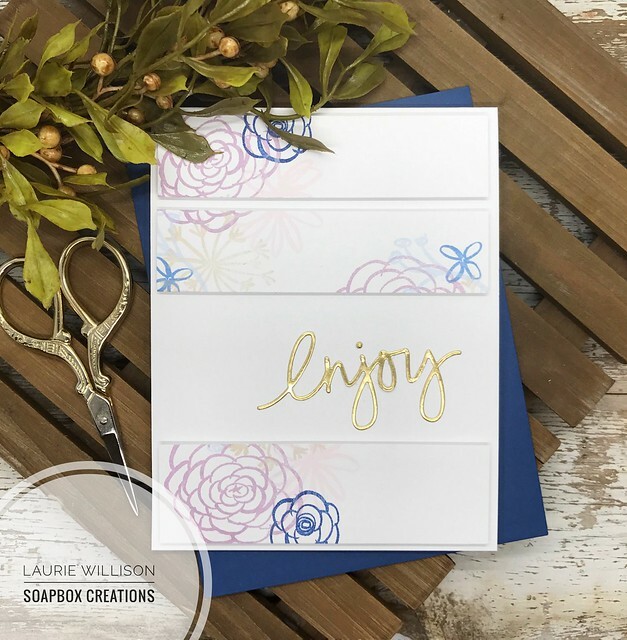 This kit is so versatile with a sentiment set FULL of amazing sentiments, sentiment dies and a gorgeous flower stamp/die set to create your own cards....not to mention cardstock and another set of beautiful envelopes! For this card, I took the 2 sizes of the larger flower centers and created a pattern uses 3 different colors of ink. Next, I took the Peek-a-Boo Polka Dot die and die cut the inked panel. I took that same panel, and then used the stitched panel from Blueprints 20 to cut out the inked, polka dotted panel yet again....to give it a stitched edge. I layered it on top of another white stitched panel and then fun foamed it to the card base. Last, I added a piece of vellum down first, then the "you" die and a heat embossed sentiment to finish it off. The MFT Blog will have lots more to see. Head on over there and do some shopping! Thanks for hanging out with me for this months countdown. Have a great evening! 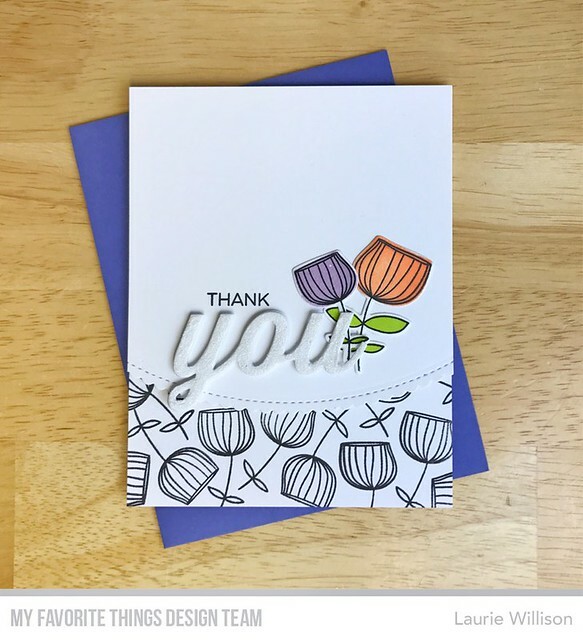 To make this card, I stamped the sketched tulip on the card base and left that in black and white. I added in a top layer using the Stitched Scallop Basic Edge die. 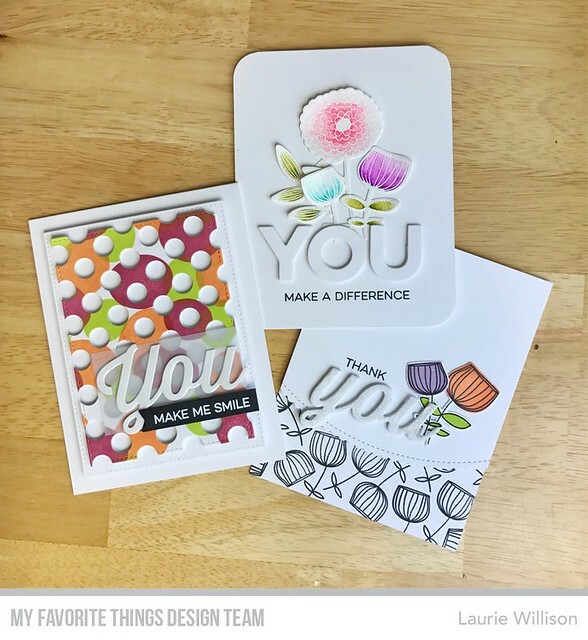 I die cut and colored 2 flowers and the layered the "you" die on top, along with stamping "thank" right above. To finish off this card, I covered the you die cut in glossy accents and then sprinkled it with some white glitter for added texture. The card kit release is tonight, May 16th at 8pm CST. I'll be back then, with one more card sample from this kit. 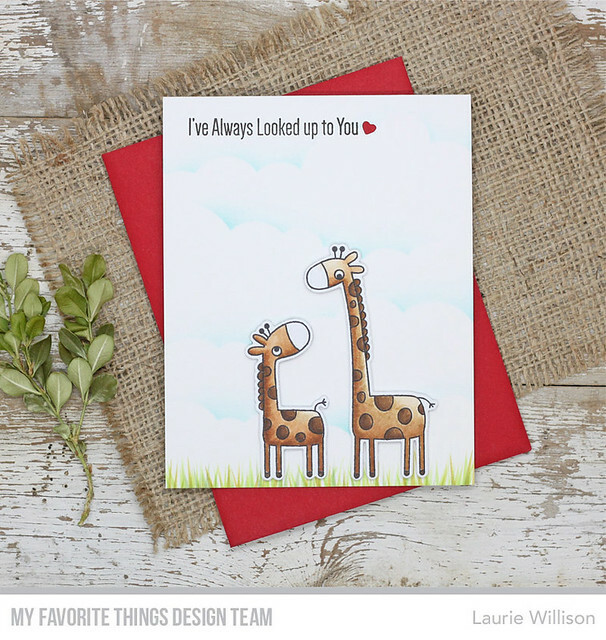 Head on over to the MFT blog today, to see more card kit cards! I die cut and then stamped and heat embossed each flower and leaf image. Then I added in a little Zig watercolors to add in some bright colors. 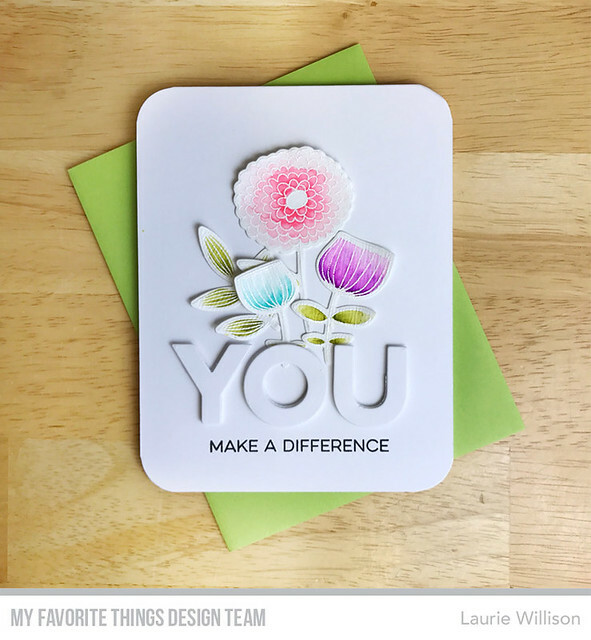 I die cut the "YOU" in fun foam and white cardstock and layered that up over the top of the flower bottoms. Last, I stamped the "make a difference" in black ink. I rounded the corners for another fun detail. I paired it with another of the amazing MFT envelopes that comes in this months kit. Have I told you how much I love these envelopes? They are gorgeous!! That is all I have for today. I have more to share tomorrow and then at the kit release, 8pm CST on Tuesday, May 16th. 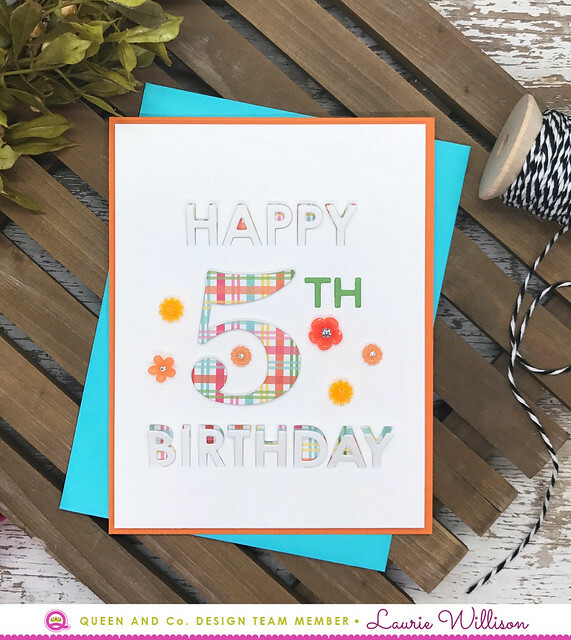 Head on over to the MFT Blog for a list of links to visit for more card kit creations! Hey there! I'm here today, stopping in with 2 clean and simple, flower creations for Queen and Company. This first card was super easy to make. I decided at the last minute to leave off the sentiment and just make it a simple note card. I used some stitched squares and then attached the Iridescent Flowers with glue dots. Then I added those homemade embellishments to the card with foam tape for dimension. These Iridescent Flowers are just so pretty and work so well for any card or scrapbook page. I love a good pop of color. 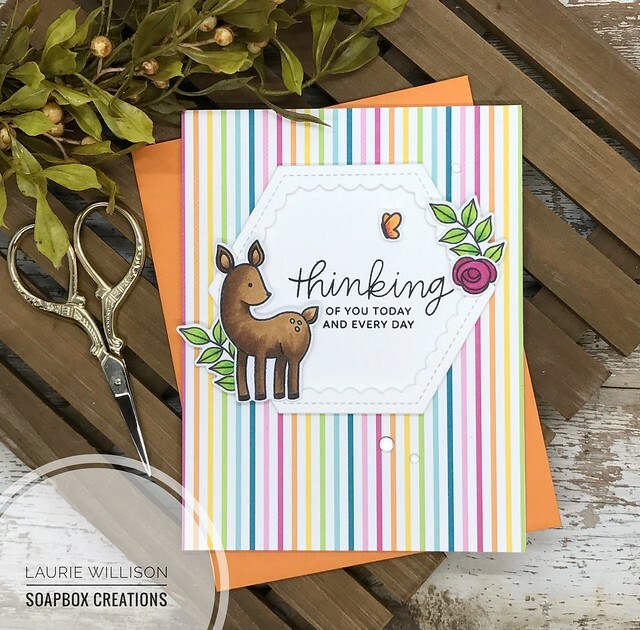 I used some dies from MFT to create the saying and then layered it on top of the plaid paper from the Perfect Presents pad. I added in the sparklers. 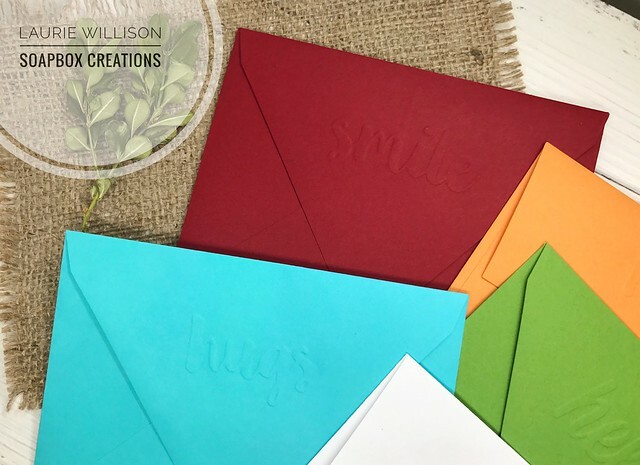 They come with their own adhesive, so they are really easy to add to your card. So that is it for today. All this spring weather is making me want to create with flowers and fun bright colors. Hope you are all having a great day! Thanks for stopping in! I have 2 projects to share today. This first card uses the set called Woodland Critters and the coordinating dies. I layered the Scalloped Hexagon Dies on a patterned paper covered card base. I added in the dear from the Critter sets, along with some flowers, leaves and the little butterfly, all colored with Copics. Last, I added in some dew drops to finish of the card. 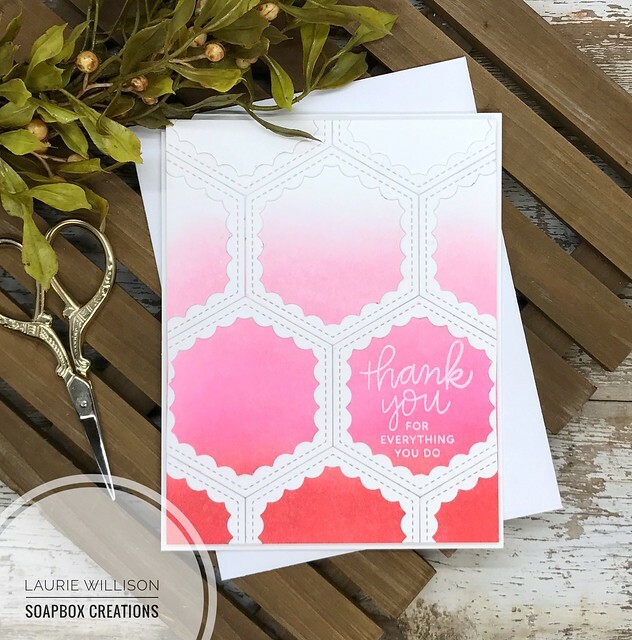 This next card features the Scalloped Hexagon Dies and the beautiful sentiment set called, Thoughtful Greetings. For this card, I heat embossed the sentiment from Thoughtful Greetings. Next, I blended up a ombre background and the layered the front with the largest scalloped hexagon frames. I layered the whole card front onto a white card base so I could frame the whole thing with a little white edge. Laurie Willison -- you are here! Don't forget to stop and comment on each blog, because 2 winners will be chosen randomly out of all the comments to win a $25 gift certificates to Pretty Pink Posh. Comments must be left by 11:59 PM PST on 5/17/2017. 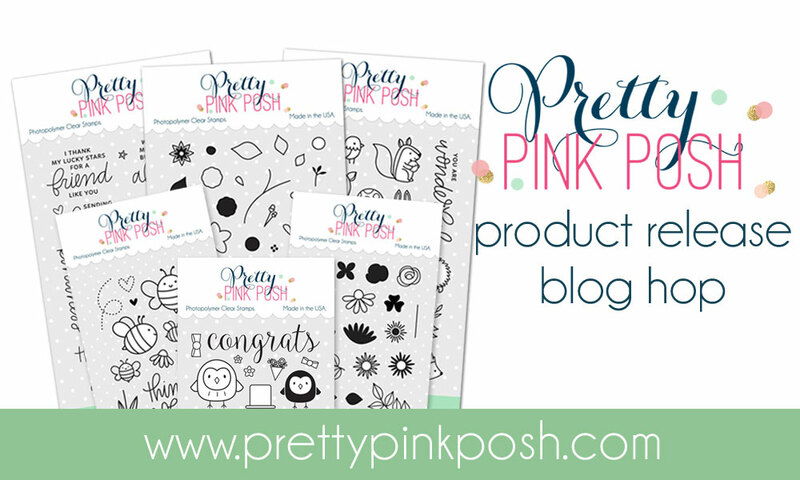 Stay tuned to the Pretty Pink Posh blog for winners! I am glad you stopped in today! I appreciate your visit and I hope you come back soon!